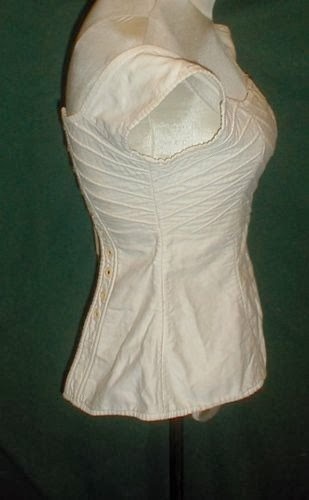 A rare and early 1820’s white cotton corset. The corset is all hand stitched. 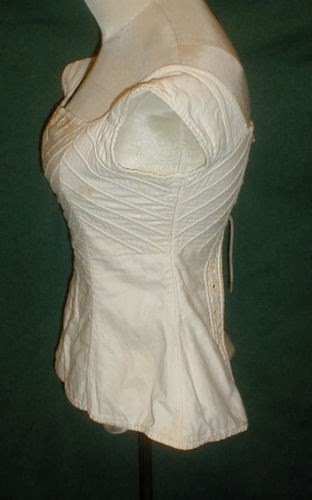 The top of the corset is decorated with rows of padded cording that create a beautiful effect. 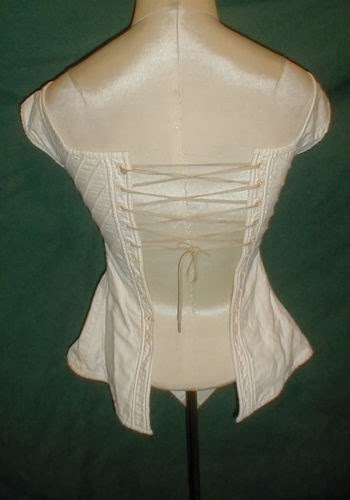 The corset has a back lacing closure that has bone eyelet holes. The lacing is not original and just being used for display purposes. 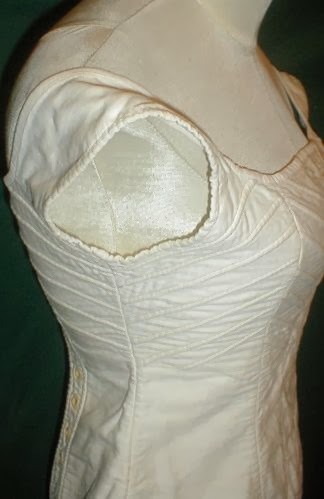 The inside of the corset has an opening at the top for a busk The corset is in very good condition. There are no holes or splits in the fabric. There are two pea size age spots on the front of the corset bust line. A wonderful addition to an early textile collection. 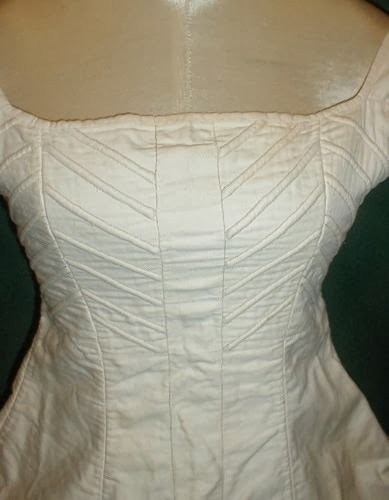 Measurements when tightly laced Bust 30 Waist 20 Hips 28 Length 18. These were typically left with a bit of a gap in the back so don't let the measurements fool you. This style of stays was popular from the 1820's into the 1840's. However, even in the 1860's, many fashionable people complained that the old style of stays were still quite common - and there are enough extant examples to prove it. 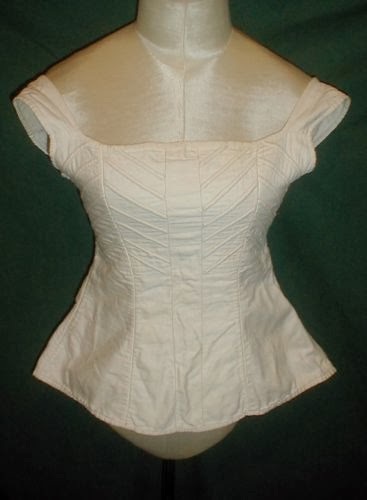 The style and cut is slightly different in the Victorian era but this cotton and cord stay rather than a corset was still used for quite a while. The lack of bust gussets is interesting! :-D I refuse to believe I am the first person in history to have a complete and utter hatred for putting gussets in stays/corsets. Oh, I hate them with a passion as well, so I don't mourn the lack of them at all (and thanks for the neat examples you posted as well!). Love seeing the cording patterns on this! Almost looks like it matches the pleating I'm doing on the front of my 1837 gown. And I hate gussets too! BTW, I had to try 8 times to get a captcha I could read to comment, and I almost gave up. I've stopped doing that on my blog and just do the moderated now.